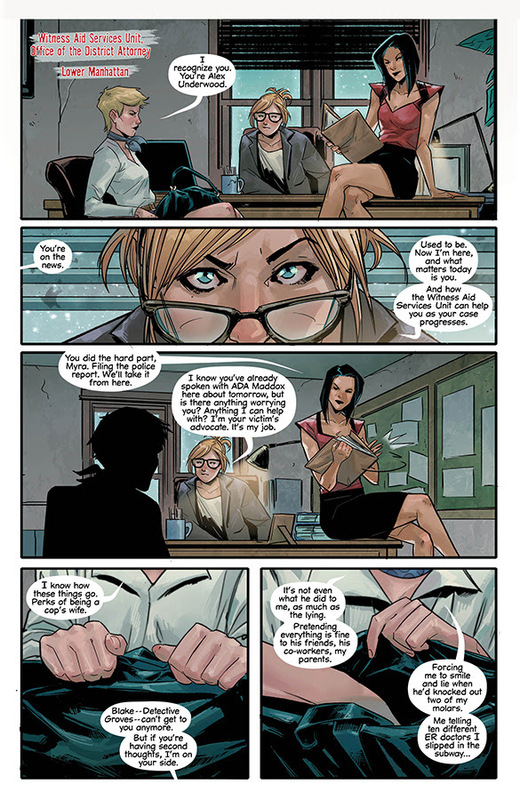 What's old is new again in Image's new Witchblade series. The critically-acclaimed revival, based on the insanely popular comic of the same name from the late Nineties, will see its first six issues collected in a new trade paperback this July. The series follows Alex Underwood, the newest host of the Witchblade, as she struggles with the powers and gifts she has had bestowed upon her. PORTLAND, OR, 06/05/2018 — Writer Caitlin Kittredge (THROWAWAYS, Coffin Hill) and artist Roberta Ingranata put a contemporary spin on the classic WITCHBLADE—first co-created by Image Comics co-founder and partner, Marc Silvestri, with Brian Haberlin, Michael Turner, and David Wohl—WITCHBLADE, VOL. 1 trade paperback will collect issues #1-6. It will hit stores this July. Witchblade, Vol. 1 will hit comic shops on July 11 and other retailers on July 17. Check out the preview below.